About Us: Homeopathic online store that sells tinctures, capsules, and topicals for people, dogs, cats and horses. Homeopathic online store that sells tinctures, capsules, and topicals for people, dog, cats and horses. “Citius, Altius, Fortius,” or Faster, Higher, Stronger is an Olympic motto from the 1920s that Sarah Scott, Founder of Hemp Doctors USA in Austin, Texas, lives by in both her professional and personal life. Born and raised in San Antonio, Texas, Sarah has always been an athlete and health enthusiast. Before Fitness Doctors and most recently, Hemp Doctors USA were developed, Sarah worked as an executive marketing director for a traumatic brain injury rehabilitation corporation that specialized in a multi-disciplinary approach to help people recover from painful and debilitating injuries so they could live as independent and fully functioning as possible. She recounts, “That experience greatly influenced the creation of both Hemp Doctors USA and Fitness Doctors. As a direct result of the past 25 years of working in the Strength, Sports Conditioning, Personal Training, Medical Exercise & Post-Surgical Exercise Industry, Sarah has recently discovered some additional ways to bridge the gap between healthcare and fitness. I work with a diverse population including actors, musicians, high school, collegiate, and professional athletes, as well as, post surgical and post rehabilitation clientele, and as a result, recognize a great need to find additional ways to assist my clients recover, heal or simply reduce workout pain and discomfort while on the road to recovery from surgeries, athletic sprains, strains, accidents, falls,and disease. The Clientele I work with want to live well and place a premium on finding the healthiest alternatives to traditional medicines to increase their pain free range of motion, improve their sleep, and just reduce the pain they are experiencing while exercising their way back to a healthy and fit lifestyle. And as a result, Hemp Doctors USA was created to provide individuals with hemp oil extract products for any occasion. My motto is ‘Strength First, Fat Loss Second.’ Gaining energy, reducing pain, increasing bone density, getting your balance back, and maintaining the stamina for doing the things that you love constitutes living a healthy life.” beams Sarah. 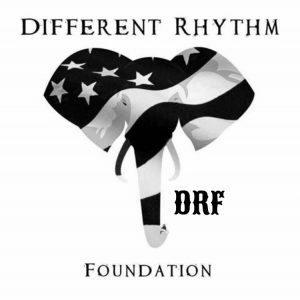 As CEO, President of Different Rhythm Foundation (DRF) it is with esteem honor and privilege we make this outstanding announcement. Hemp Doctors USA joins the Different Rhythm Foundation Board of Directors. 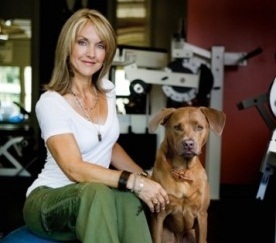 With an aligned ethos, based in spirit, tenor and the ideology of helping the greater good across the globe, world renowned athlete, thirty year (30) successful Austin, Texas Entrepreneur, and a woman of never-ending empowerment for those surrounding her, Sarah E. Scott joins the Board of Director Chairs to make a global impact for Community Outreach. One thing is for sure, Sarah E. Scott’s resume and reputation precedes her. Through thirty years of publications, education, rehabilitation, health & wellness, and helping to bring a bright light to all in need, Sarah sees more left to be done. 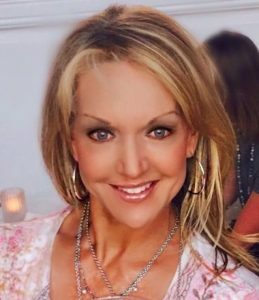 Below is the “fresh off the presses” article in Arbus Magazine on Sarah E. Scott – Hemp Doctors USA, also including the company’s new Global Brand Ambassador, Zane Henley Stott “Guardian Zee”. As the CEO, President of Different Rhythm Foundation (DRF), it is with tremendous honor and privilege this announcement be made. DRF Security & Unit Lead, Zane Henley Stott is now the chosen Global Brand Ambassador for Hemp Doctors USA — WATCH VIDEO. Please, congratulate Guardian Zee for such an achievement. Hemp Doctors USA, The Guardian has your global watch now. Congratulations to Hemp Doctors USA for choosing a positive role model for all the wild and the natural around the globe.